Welcome back to the Dragon! This year we’re going to have more options and more roads than ever before. We’ll even have options for folks who may not want to do a drive as much. 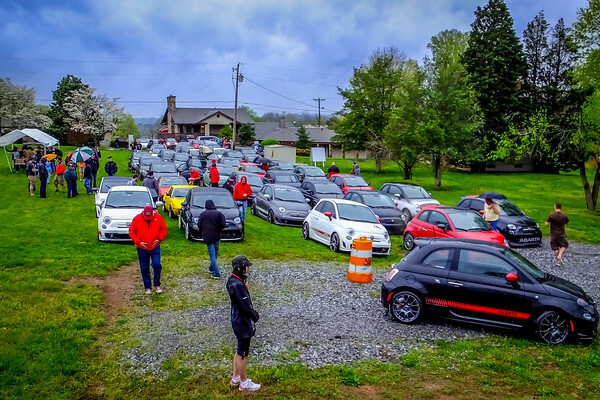 This FIAT family (including our Alfa cousins) weekend will feature organized, family‐friendly driving and scenic events, both at the host hotel and throughout the area. Activities include spirited and casual sightseeing drives, an organized meal, bonfires, social times at Talley Ho’s big field and parking lot, vendor booths, tech times, raffle prizes, and of course lots of FIATs and Alfa Romeos! 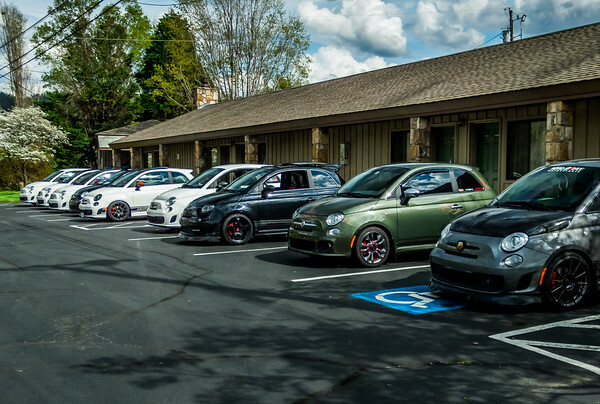 There is no better way to have fun with your FIAT or Alfa Romeo! We have even invited our French car cousins to join the fun for the first ever Cars on the Field event. Be sure to purchase raffle tickets for a chance to win some great prizes! Thanks to our sponsors, maps and prizes will be provided for the weekend of fun. Check in at the hotel first, then come say hi to Tom & Donna for event registration at the “Big House”. Dinner is on your own. 5:00–9:00pm – Pick up registration packets at the Talley Ho Inn (The Big House). > Talley Ho “Cars on the Field” at 10am-2pm It is like Cars & Coffee without the coffee. Great option if you plan to do the shorter drives on Saturday. FRIDAY & SATURDAY – Same schedule both days, pick your drive! 8–8:45am Pick up registration packets at the Talley Ho Inn (The Big House). Pick up optional picnic lunch at registration, if purchased. Morning coffee & snacks sponsored by TBD. Meet in the grassy area at the Talley Ho Inn for drive instructions. Have your maps with you. The first organized group will leave at 9:00am sharp. Optional shorter drives will be available on‐your‐own with maps provided. Depart hotel for Foothills Parkway to the base of the famous US129 Tail of the Dragon. From there the drive takes a challenging 318 turns in 11 miles. Once the drives have started, feel free to change groups and mix it up if you like. If you get separated from the group, try to catch up at Deal’s Gap. Next, prepare for the most amazing scenic drive around on the Cherohala Skyway. Head to Tellico Plains for lunch on your own, or you can do the optional bag lunch and find a place to stop along the way. Depart hotel for the Devil’s Triangle. It’s a bit of a drive but worth the effort. This road is one of the most challenging around. Stop at Brushy Mountain for a quick break and then head over to Frozen Head State Park for a picnic lunch at noon. Once the drives have started, feel free to change groups and mix it up if you like. If you get separated from the group, try to catch up at the Prison or Frozen Head State Park for lunch. Depart hotel for Foothills Parkway to the base of the famous US129 Tail of the Dragon. From there the drive takes a challenging 318 turns in 11 miles. Once the drives have started, feel free to change groups and mix it up if you like. If you get separated from the group, try to catch up at Deal’s Gap or the top of Fontana Dam for the picnic lunch at noon. You’ll have time to explore the area and drive the Dragon several times with this option. Be sure to check out Deal’s Gap or Topoco Lodge for a very nice lunch option on your own. Sleep in late and choose your shorter drive. These on-your-own drives are closer to Townsend and offer great scenic opportunities. Maps and suggestions will be provided. It is like Cars & Coffee without the coffee! Join friends at the Talley Ho for a chance to enjoy each other’s cars up close. We have invited our French car cousins to join us for this one, make them feel welcome. Time to socialize and visit the vendor booths back at the Talley Ho. Park in the grassy area and enjoy looking at everyone’s cars. Dinner is on-your-own for Friday, and there are lots of good options available locally. We will have our traditional bonfire (weather permitting) on the hotel grounds for those wishing to gather for social time and relaxation. Bring lawn chairs and enjoy the fire under the stars. FIAT & Alfa Family Social time at the Talley Ho with Food Truck Feast! Time to socialize and visit the vendor booths back at the Talley Ho. Park in the grassy area and enjoy looking at everyone’s cars. Purchase raffle tickets for a chance to win some great prizes! Saturday’s dinner is included with registration for everyone in your car. Use your voucher and choose from the menu provided by the food trucks and enjoy a casual dinner with FIAT and Alfa friends and family. We will have our traditional bonfire (weather permitting) on the hotel grounds for those wishing to gather for social time and relaxation. Bring lawn chairs and enjoy the fire under the stars. More ‘FIAT on the Dragon’ social time to sit, relax and take in the fresh mountain air with friends late into the night. Optional night drives may happen too, so be ready! NOTES: When traveling these back roads, remember, stay on your side of the double yellow line. Crossing it can get you a ticket or worse. If someone behind you wants around, use the pull-offs; there are lots of them. When you do pull off, please pull as far in and park as tight as you can to make room for others. Have fun but please obey local speed laws and be safe. Plan fuel stops prior to leaving the hotel as there are limited stops in some areas. Be sure to bring two-way radios as cell service is not guaranteed. Read over map prior to driver’s meeting; cell service is limited on most drives.